There are a lot of great in-ear Bluetooth headphones that are designed for active people. They sport many different features like water-resistance, earbuds that lock into place, and tangle free wires, but they all have one thing in common – they go in your ear. For some people with irregular/oversensitive/teeny-tiny-baby-mouse sized-earlobes, in ear headphones aren't an option. The problem for people who don't like in-ear headphones is that most on/over-ear headphones are not great for workouts either. They can be bulky, heavy, fall off easily, and can be ruined by the moisture and salt excreted by their sweaty owner. 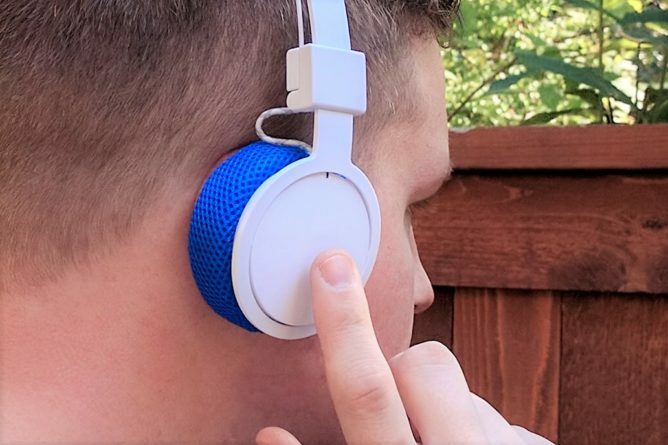 Urban Ears has heard the cries of dismay and despair of the earbud intolerant sweaty masses and created a product that promises to solve these problems. The product is the Urban Ears Hellas ($119), a set of Bluetooth on-ear headphones you can wash when they get stinky, just like your own stinky self. The Hellas are marketed to fitness oriented people, so it makes sense that their construction is focused on providing a secure fit with minimal weight. 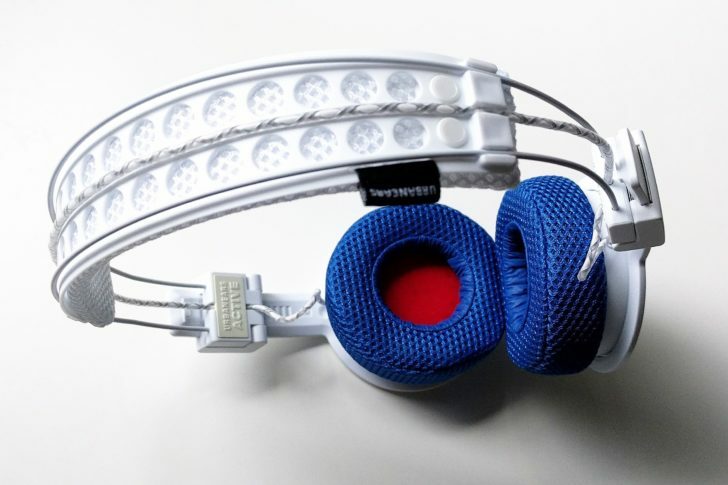 The headphone housing is built of light, yet premium feeling, plastic and the headband consists of two thin, rigid wires that arc over the top, connecting the earcups. A cable braided with reflective strips (to increase night-time visibility) runs between the two wires connecting the cans. The whole construction looks rather flimsy, and a little toy-like out of the box, but after a couple weeks with them I can attest that they are actually quite strong. They haven't lost their shape or rigidity after a couple weeks of heavy use including banging around in the backpack I take with me everywhere. The Hellas fold upward into themselves, which makes it easy to fit them in a gym or work bag. They charge via MicroUSB and have 16 hours of audio playback on a charge. 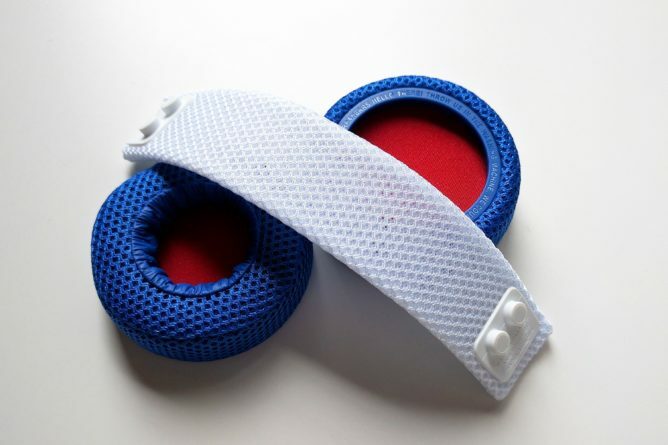 The pair I was sent came in white and blue, but there are several other color combinations available. You can pick them up in all black, grey and orange, or navy blue and hunter green. 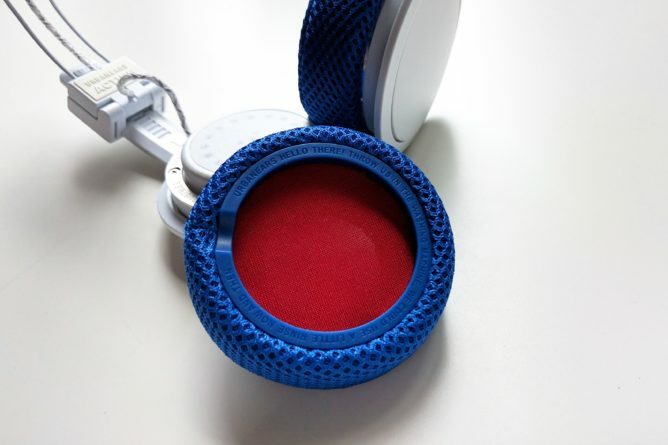 Urban Ears also just launched a new, special edition, Roland Garros set in clay red. They look great, in my opinion, and are also $20 less than the other color combinations. The main selling point for the Hellas is that you can wash them post workout. Now, you can't just chuck the headphones in your bathtub, only the earcups and headband are washable – which makes sense since those are the parts that come in contact with your head. To wash them, just pop the headband and earcups right off, place them in the included laundry bag, and throw them right into your washer to be rinsed of your sweat and grime. The earcups are easy to remove when you want to take them off, but don't fall off inadvertently. The headband, on the other hand, does tend to come loose a little easier. I found it partially detached when pulling it from my backpack a few times while I was testing the headphones. Not a big deal, but something to be aware of. I was pretty perplexed for the first few minutes after opening the Hellas, because I couldn't figure out how to turn them on. I searched under, over, and around both earcups and couldn't find any buttons. After a quick reference to the included user's guide (I probably should have read it prior to using them) I discovered that the entire right earphone is touch sensitive. A long press on the earphone cup turns the headphones on and off and other gestures control volume, track selection, and more. For example swiping upward increases the volume by one step, swiping forward skips to the next song, and a single tap pauses audio or answers an incoming call. I admit, I am typically not too keen on touch controls, but these ones really aren't bad. In fact, I found the swipe based controls to be easier to use while working out than traditional buttons. They are very responsive and interpret gestures accurately almost every time. It's actually very nice to not have to fumble with a tiny volume rocker or hunt for the pause button while on a moving bicycle. Now, I did occasionally bump the touchpad accidentally while adjusting the headphones, causing the music to pause or skip tracks. I soon learned to avoid touching the center of the earcup when re-positioning the headphones to avoid inadvertently changing settings. The only other issue I have with the controls is that the lack of buttons requires a bit of an adjustment period while the user learns and memorizes the controls. They are, however, pretty intuitive, and it didn't take long for me to get used to them. I think they would be a lot less confusing initially if Urban Ears put a removable sticker on them in the box with symbols demonstrating the different functions. The Hellas fit is fairly tight on my average sized head. The clamping power is strong enough that they won't fall off while running or cycling. However, a more active exercise, like a cross-fit workout, or kickboxing, might dislodge the headphones. That's ok with me, if the cans were fitted any tighter they would cause fatigue. As they are now, I can wear them for about an hour before I tire of wearing them, plenty long enough to make it through a workout. The washable earpads on the Hellas were a bit strange to me at first. They are made out of a mesh nylon material that reminds me of a shower loofah. I really didn't care for the feel of the cups on my ears at first, though part of that may be that I tend to prefer over-ear headphones to on-ear models. After wearing them a couple times I adjusted to them, and now, as I wear them as I write this article, they no longer feel strange on my ears. They still aren't headphones I would enjoy wearing for a several hour writing session due to their tight fit, but they feel perfectly alright for 45-90 minutes, which is fine for their intended use as workout companions. These guys sound pretty good. The balance of their power is mid to low end, with a little less prominent highs. Bass is sufficient without being overwhelming. Things get a little convoluted in complex tracks, but that has more to do with Bluetooth audio than these headphones in particular. The Hellas can also get very loud thanks to their 40mm drivers and 50mW of power. I like my music on the loud side, but I couldn't tolerate listening to the Hellas at above 70-75 percent maximum volume. That's just fine by me, I'd much rather have headphones capable of producing more volume than I like than less than I want. Noise isolation is just ok, the tight fit of the earpads does block out some background noise, but they are by no means leak-proof. It's really not a bad thing since you wouldn't want total sound isolation when running on a busy road anyways. The headphones also leak a fair amount of sound outward due to their porous earpads, so listening to them at high volume on the bus might not be appreciated by your neighbors. 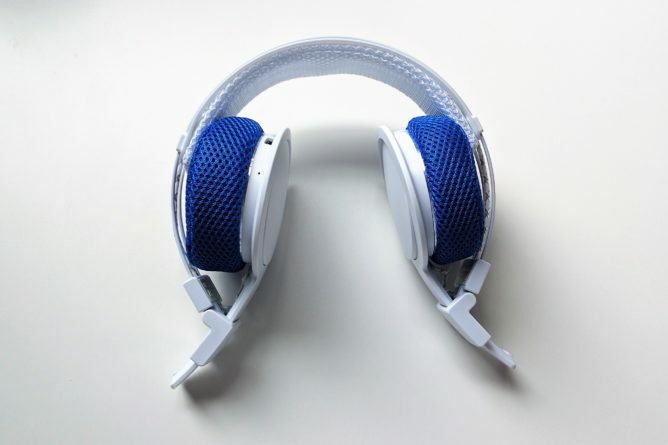 If you have the unique set of problems that the Hellas solve, then these are a great set of headphones for you. There are other better sounding, more comfortable, headphones on the market, but none are as well suited for working out as the Hellas. The ability to wash them, paired with controls that are easy to operate while in motion, make for a very compelling package for fitness loving users. Follow the link below if you want to check them out for yourself.